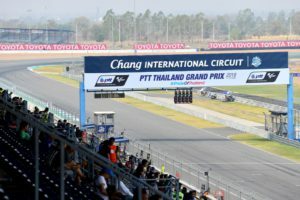 Michelin and MotoGP are embarking on a new chapter in Grand Prix motorcycle racing when the championship makes its first visit to Thailand as the Chang International Circuit prepares to stage the PTT Thailand Grand Prix. Michelin heads to the 4,554m track with a strong line-up of tyres. 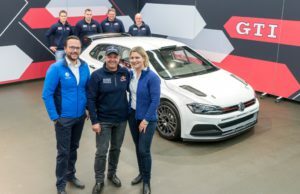 The company made its choice after a pre-season test at the circuit. Its location is in Buriram, in north-eastern Thailand, approx. 400km from the country’s capital Bangkok. 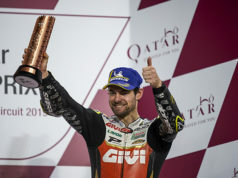 The test gave Michelin valuable data about the high severity of the track. This information was the base for the selection of a range of Michelin Power Slick tyres. With Buriram being a new venue and from the data that was collated at the test, it has led to specific rear tyres being constructed to contend with high temperatures that will be generated. Michelin has brought four options of rear tyre for its first visit to the circuit, aimed at giving all riders and teams the best opportunity to get the optimum performance from their machines. These will be in soft, two mediums versions and hard and they will all be asymmetric, with a harder right-hand shoulder to cope with the circuit’s layout of seven right-turns, against just five on the left. Michelin has chosen three front tyres for the allocation, which will be in soft, medium and hard compounds and will all have a symmetric design. Its state-of-the-art facilities include some impressive grandstands around the track. Its capacity is for 100,000 plus fans. The weather in Thailand in October can be very changeable, as it is still officially the monsoon season. So wet weather could play an important part in the proceedings. With this in mind, the Michelin Power Rain tyres could make a regular appearance. These will be available in a soft and medium front and a medium rear which will all be symmetric. Just the rear soft will have an asymmetric finish with the harder right-side like the slicks. 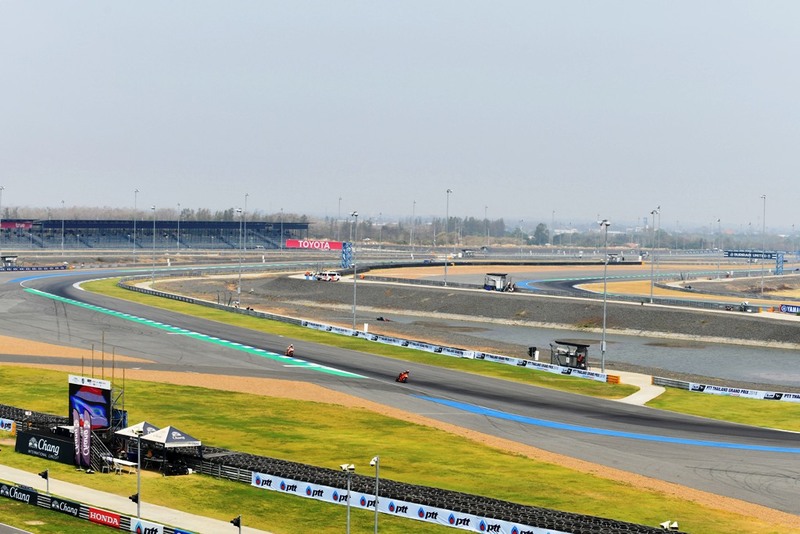 The inaugural Thailand MotoGP weekend kicks-off with two Free Practice sessions on Friday, as the whole paddock will get its first competitive feel of the Buriram circuit. Saturday’s timetable will have two more practice periods, before the qualifying takes place to decide grid positions for the main event. 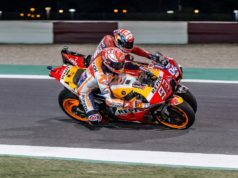 Michelin and the MotoGP field will take to the track on Sunday 7th October, as the newest edition to the motorcycling calendar gets underway at 14.00hrs local time (08.00hrs CEST, 07.00hrs BST, 06.00UTC), when the lights will change to signal the start of the 26-lap race.